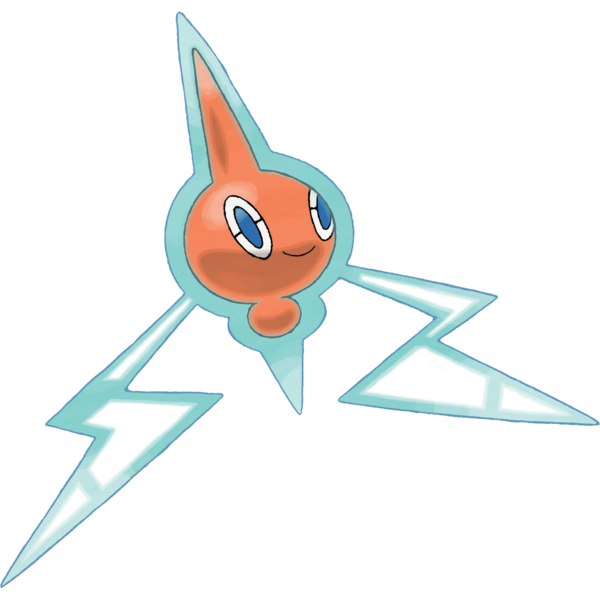 Rotom is a ghost-type Pokemon that can actually transform into one of five different "formes". Different from standard evolutions, Rotom can switch between his formes at will. Each forme gives it a different typing: for example, washing machine Rotom is an electric/water type.